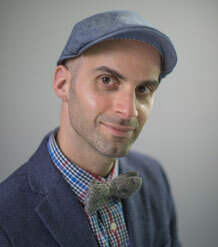 Dr Sotiris T Lalaounis is a Senior Lecturer in Marketing and Design Management with the Department of Management. He joined the University of Exeter Business School in October 2011. Following an undergraduate degree in marketing (Strathclyde), and postgraduate degrees in public relations (Stirling) and design and digital media (Edinburgh), he worked in design firms and earned his PhD in design management from the Centre for Creative Industries at Glasgow Caledonian University. His thesis investigated business development issues in the creative industries, with a focus on design consultancies, and was sponsored by the UK’s Department of Trade and Industry through a Knowledge Transfer Partnership (KTP). He is a Senior Fellow of the Higher Education Academy, and a member of the Chartered Institute of Marketing, the Design Research Society, the Academy for Design Innovation Management, and the European Group for Organizational Studies. Dr Sotiris T Lalaounis is interested in organisational paradoxes, ambidexterity, design management and the creative industries. In his PhD thesis, he explored the paradox between establishing internal organisational systems and maintaining creative autonomy, developed a framework for the evaluation of creative services in order to improve client relations, and explored the challenges associated with the merger of design consultancies. Dr Lalaounis’s research explores, through the theoretical lens of paradoxes and ambidexterity, how organisations in the creative industries manage creativity and innovation. Additionally, he is interested in the relation of design management with marketing, and has published an advanced textbook which explores organisation and marketing perspectives on design management (Routledge). Lalaounis ST, Wood BM, Harrison DK (2012). A framework for services evaluation in integrated design consultancies: a triangular approach. Design Journal, 15(3), 265-298. The design sector is a dynamic field characterized by fierce competition. Design consultancies, namely those companies which provide design services to other organizations in the form of consultancy work, are increasingly challenged to commit time and resources to their business development. Additionally, design-aware clients require from them greater levels of operational sophistication. This paper presents a triangular framework which integrated design consultancies, i.e. those integrating a number of design services under one roof, can use to assess their client services, design work and their own marketing activities. It consists of three entities: the consultancy, the client and the account, a notional entity which includes the collective of past, ongoing and future design projects for the same client, involves teams from the other two entities and requires their synergy. Each of these relate to a number of criteria which they are judged against, as well as criteria which interconnect them. The framework was applied in a Glasgow-based integrated design consultancy which provided important intelligence for the consultancy and tested the framework's effectiveness. The framework proved a very useful tool for any integrated design consultancy aiming to assess its services in light of its continuous business development. © BERG 2012. Lalaounis ST, Wood BM, Evans D (2011). Design management: a comparative analysis of the professional status of the occupation in the UK. Design Principles and Practices, 5(6), 639-665. Organisations have acknowledged the importance of design as a strategic tool and therefore have recognised the need to effectively manage it. This has led to the development of the Design Management occupation, which while some believe is a mature and established profession others question its current status. Due to their certain similarity and proximity to Design Management, the professional status of two other UK occupations: Marketing and Public Relations (PR), is assessed along with that of Design Management, using Wilensky's process of professionalisation. The paper also tests the hypothesis that Wilensky's process should be treated as a set of criteria rather than a process, hence the sequence in which these stages occur does not affect the professional development of an occupation. Looking at the development of Marketing and PR in the UK, this hypothesis is validated because both occupations have achieved full professional status, albeit achieving these criteria in a different sequence. While both Marketing and PR can be characterised 'established professions', Design Management in the UK is currently a 'semi-profession'. Based on a comparative analysis, the paper offers two implications for the Design Management occupation in the UK, firstly, the need to define the occupation's body of knowledge and secondly the need for the establishment of a UK-based professional association. © Common Ground, Sotiris T. Lalaounis, Bruce M. Wood, Dorothy Evans, all Rights Reserved. Lalaounis ST (2017). Design Management: Organisation and Marketing Perspectives., Routledge. Lalaounis S, Wood BM, Harrison DK (2006). Holistic Brand Experience Plan, Creating an Experience-based Creative Agency - the case of CuriousGroup. International Conference on Strategic Innovation and Creativity in Brand & Design Management. 29th - 29th Nov 2006. Best Partnership Award Nomination, KTP Scotland Awards 2009 - Knowledge Transfer Partnership between the Centre for Creative Industries at Glasgow Caledonian University and the Curious Group Ltd.